The Moon remains in Aquarius today and connects with just about every known planet , so it’ll be one of those presto-change-o days, with more than a few surprises and mood switcheroos. Go Big Picture and don’t get hung up – an Aquarius Moon brings the gift of detachment. Be like the air and circulate—all those planets in Gemini ignite our curiosity and help us keep a light touch or find the humor in any situation. The day begins with the Moon square Saturn at 3:47 AM EDT, which is a little dolorous, so those of you who remember your dreams may find that they’re filled with eccentric, rebellious and somewhat depressed characters who deal drugs and/or wind up in prison. At 7:28 AM EDT the Moon trines the Sun, so everyone wakes up and starts gabbing their brains out. If there’s no one around, we may be inclined to talk to the cat. Interesting information flows back and forth spontaneously and revs us up to meet the day. Next up is a couple of sesquiquadrate aspects: Moon/Jupiter (8:12 AM EDT) and Moon/Venus, (9:28 AM EDT), followed by a Moon/Pluto connection at 12:10 AM EDT. This bunch has a “yesterday’s ghosts” feel, so whatever comes up may remind you of something from the past that hasn’t really been resolved but does a rebound burst through your force-field (yikes!). Maybe you went overboard somehow and torpedoed a relationship you wanted to maintain, maybe you talked too much when you should have been silent. Or it could have a karmic tinge—you get a weird feeling of déjà vu in a current social situation that takes you w-a-a-a-y back. At 1:01 PM EDT, the Moon sextiles Uranus. As Uranus is the ruler of Aquarius (remember, the Moon’s there today), we get a double dose of Aquarian/Uranian energy, or maybe a huge blast of intuition or insight bores into our craniums. We enjoy expressing ourselves in a unique manner; this is Popeye energy: “I Yam What I Yam”. The communication level may degenerate into general nattering later as the Moon hits Mercury in another sesquiquadrate aspect at 2:32 PM EDT. We might feel that people are skimming the surface, avoiding the issues and trying to cover things up by unleashing a torrent of words. If you put the two Symbols together, it looks like someone in a position of authority (King, Queen, President, Prime Minister) is getting ready to make a proclamation or authorize war preparations. I think I’ll check the news and see what’s going on in the world today! This also has a feeling of defending your rights and asserting authority in the face of a challenging situation. The Sabian Symbol is very Sagittarian (Sagittarius is the Archer, after all), with arrows at the ready. 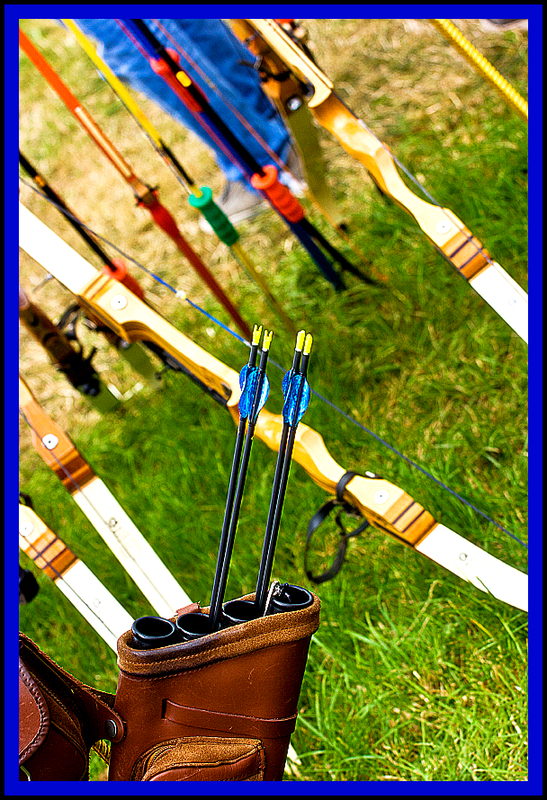 The arrows are tools used for hunting or for defense/attack; skill is required to wield them properly. Since the quiver is filled, it implies that we’re preparing ourselves for action by keeping our tools close at hand. The time is now—we’re ready. Focus on the target and aim carefully. On the down side, it can mean opportunities are available but we’re not properly prepared or ready to take up the challenge. We may “miss the mark”. It also relates to criticism and negative comments (some arrows are barbed or poison-tipped); be careful what you say and how you say it. Things can go wobbly quickly—with the Moon in Aquarius we can lean too far into general wackiness or slide into the “whatever it is, I’m against it” routine. The Kozminsky Symbol yells “here comes the judge”. This judge is empowered by a higher authority. This Symbol, combined with the Sabian Symbol, tells us that when we take action we must make sure that it’s justified. It relates to fairness, weighing all of the options, taking responsibility, and doing what is right. The document, as rule of law, affects many people, whose concerns and rights must be taken into consideration. As the keyword is “jurisdiction”, it’s also about realizing our areas of authority and not overstepping those bounds. Think before you send those arrows flying through the air; you can’t take them back. Words and actions have consequences. “Royal Proclamation.” This one resonates with both of today’s Symbols. There’s a real “hear ye, hear ye” feel to this combo. Since it’s two Wands cards, and the 8 of Wands relates to motion and messages, there’s a lot flying through the ether right now. Maybe we get an important message from a Leo woman. It could also mean that things are flying fast and furious—we’re blitzed by news. Sudden information may alter plans. This combination is also about manifesting a vision or being loyal to ourselves and never losing confidence. It’s a journey to find our heart’s desire, our center. 8s are transformer cards, so this Fire Queen is a shape-shifter. She shows you the way and never leaves your side—“you’ve got a friend”. It’s breakthrough time; we finally feel we’re safe enough to break out, break the mold. Things begin to move; we gain confidence. Inner peace because we know, deep down, that things will be OK.
Concepts: Proclaiming ourselves, exhibiting our talents, stoking the inner fire, opening to creativity on all levels.